Lyutvi Mestan was elected as chair of Bulgaria's Movement for Rights and Freedoms party, ending 23 years of Ahmed Dogan being at the helm of the party. Dogan has however retained his leadership powers, being proclaimed a lifetime honorary chair of the party. Saturday the Movement had an exceptionally tumultous national congress, as Dogan was assaulted by a man carrying a hand gun during his speech. The assaulter however misfired his gun and was brought to the ground by delegates at the conference, with Dogan escaping unharmed. As it transpired as the congress resumed later, the leader, who had chaired the Movement ever since its inception in 1990, announced that he is asking to resign from the position. He recommended current vice-chair Lyutvi Mestan as an heir. After the end of the congress, delegates revealed that Mestan, a very active MRF MP, was actually elected as the party's leader. 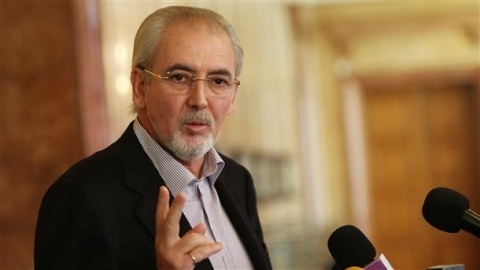 The decision was taken unanimously, revealed delegates, who also added that an adopted change in the party's statute made founder Ahmed Dogan an honorary lifetime leader of the Movement. The Movement for Rights and Freedoms, styled as a liberal party, and member of ALDE, is known to be largely supported by Bulgaria's sizeable ethnic Turkishminority. In his first reaction to the grave incident, Mestan interpreted the assault as directed not only against Dogan, but also against all supporters of the Movement. In the summer, Bulgarian voters will head to polling stations for general elections.